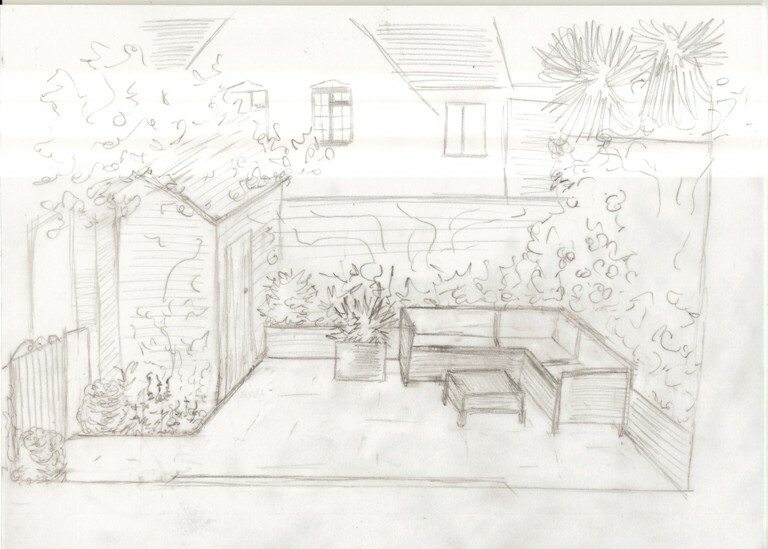 Just before Christmas I was commissioned to produce a concept design for the front and back gardens of a small period cottage in Wimbledon. 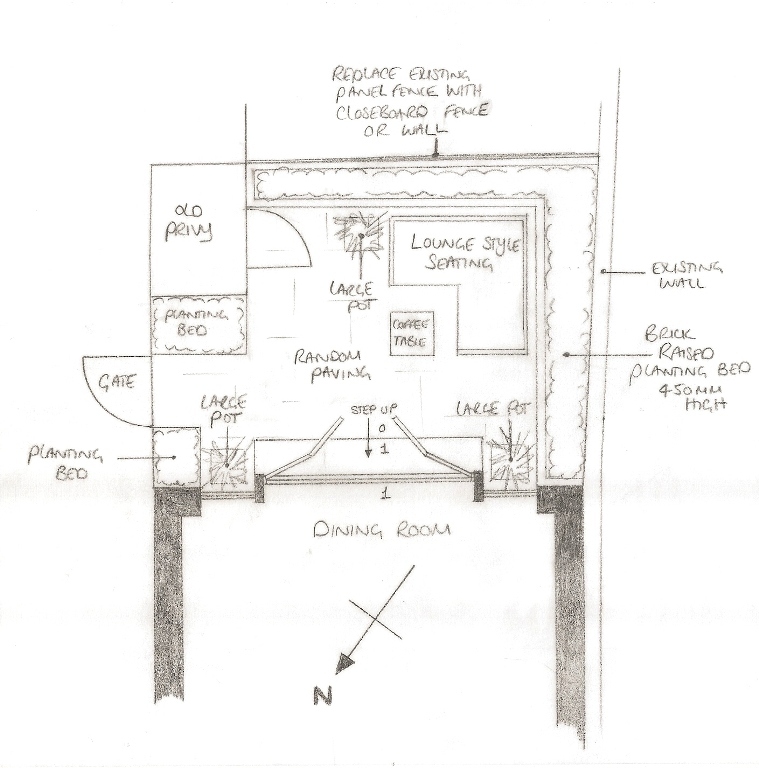 The house is currently in the process of being renovated and because the back garden can only be accessed through the house, I needed to produce the design quickly so that the work in the garden could be carried out before work to the house moved inside. 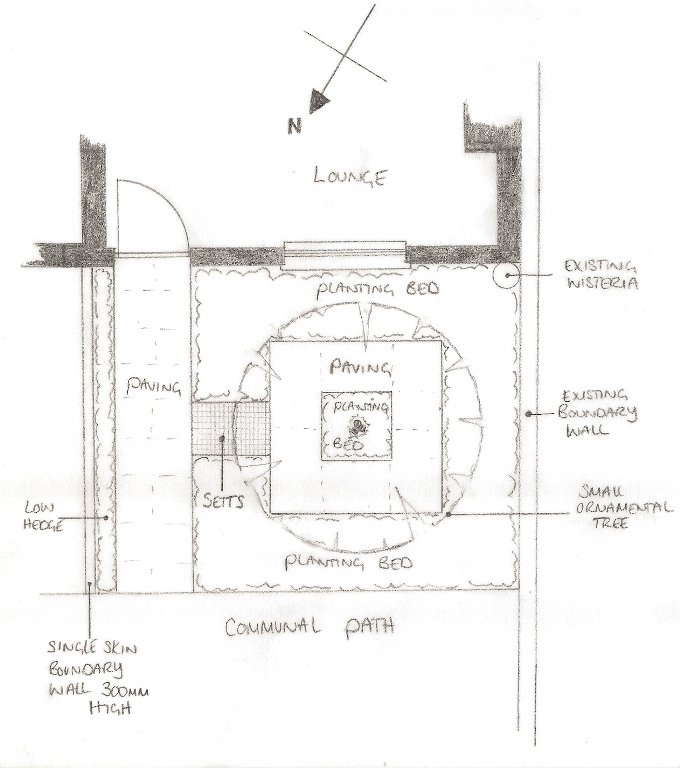 As well as the house, the old privy in the top left corner of the plan is Grade II listed and therefore has to stay. There are plans to turn this into a proper storage area and I think it really adds character to the overall look and feel of the garden. 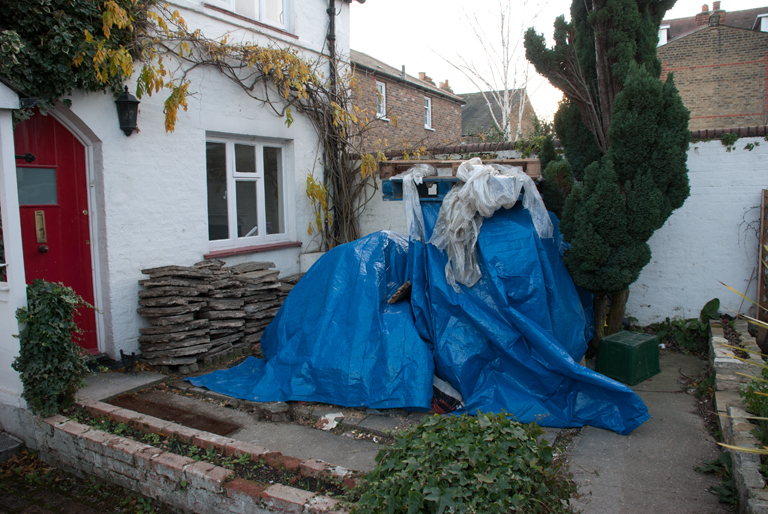 The roof is tiled and I have suggested that the overgrown climber is cut back to reveal its whole character. I have suggested some sort of lounge seating. The dining room table will be positioned just inside the French doors so it doesn’t make sense for there to be another dining area outside when the doors can be opened on hot days. 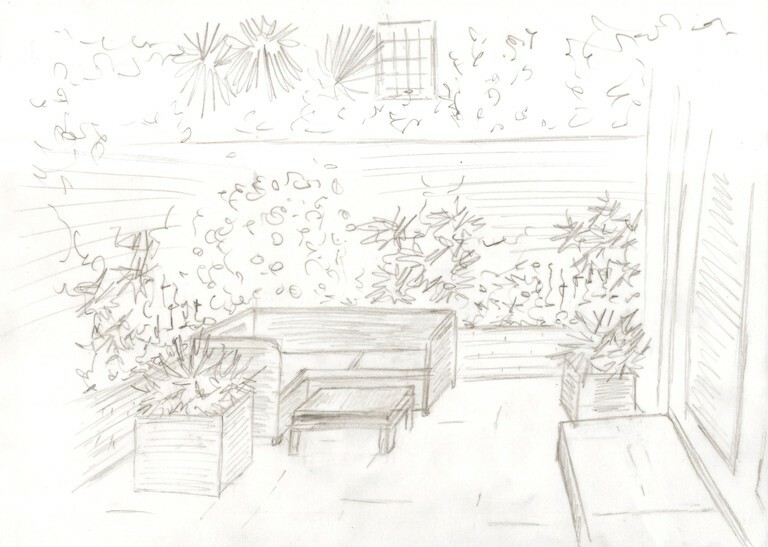 The raised built-in planters around the edge will help to give height and dimension to the planting – we don’t have the luxury of space for deep flowerbeds so the plants chosen will need to give an impression that there is more space than there actually is. The side gate shown here leads to the neighbour’s garden and is an escape route in case of a fire. In such a small space it’s really important to ensure that it feels part of the garden, rather than an access point only. The front garden is also very small but it’s function is a little less complex. It needs to look inviting and show off the character of the cottage as well as be low maintenance, especially as the client is regularly out of the country. 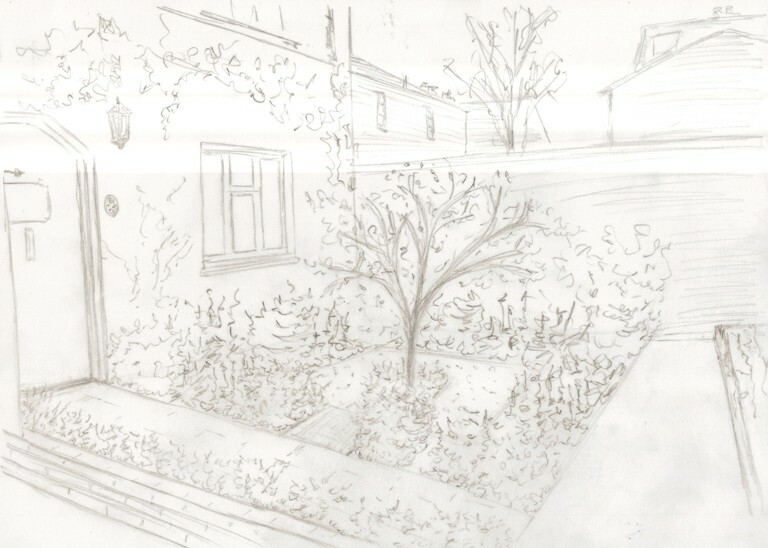 I have proposed a very simple courtyard-style plan with elegant planting and a small ornamental tree as a focal point. 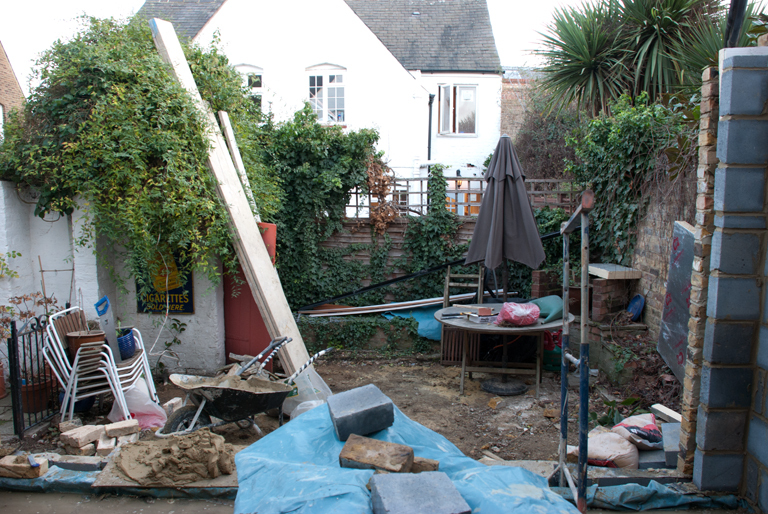 The narrow wall-planter between the 2 houses will be replaced with a single width low brick wall so that we can introduce a planting bed either side of the pathway to the front door. Small spaces are often more difficult to design because invariably there is the same list of things to incorporate as a garden 10 times the size. With a little bit of planning it’s amazing what you can fit into a space that normally you wouldn’t be able to swing a cat in! Thanks Fiona – I’m looking forward to it too!